Belgium was beautiful. It was much different than I pictured, but fabulous none the less. We made it here after a short train ride from Amsterdam. The city is big... and has so much to see, taste, and do! 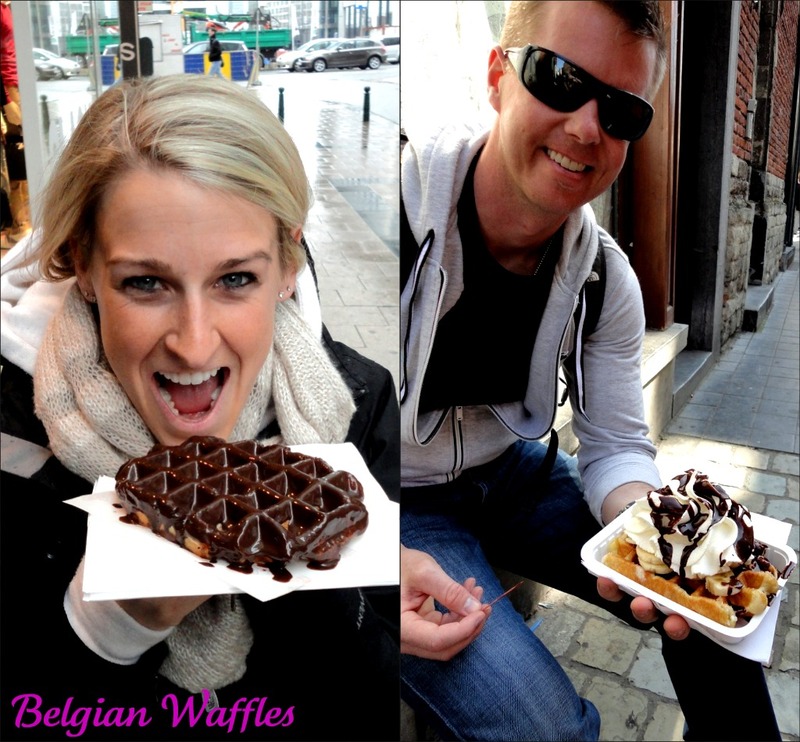 The first thing we did after arriving was stop at a little waffle stand. It was delicious! We stayed in Brussels for 4 days at the Sheraton Brussels. We spent a lot of time walking around exploring, trying some new restaurants, and just enjoying the feeling of being in the city. The Atomium was built for the World Fair after the second world war. It was the first event of its kind after the war and the Atomium was a symbol of coming together. It's supposed to be in the shape of an atom magnified over a billion times! We went all the way to the top. I couldn't wait to dig into one of these!! 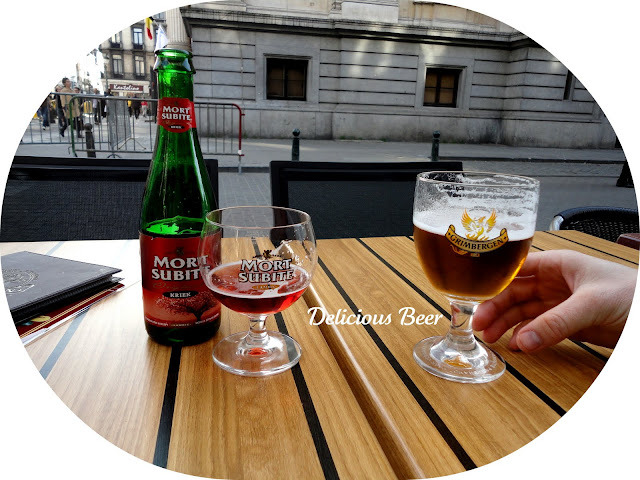 We tried lots of beer in Belgium. Our tour guide told us you could drink a different beer every single day of the year and still not try all of the different beers Belgium brews! The gorgeous city center was filled with incredible architecture! My love and I in one of the many parks in the city! I could go back right now! Looking at these pictures is making me miss all of our adventures. It is making me look forward to our honeymoon! I am worried about having good walking shoes. Any tips? 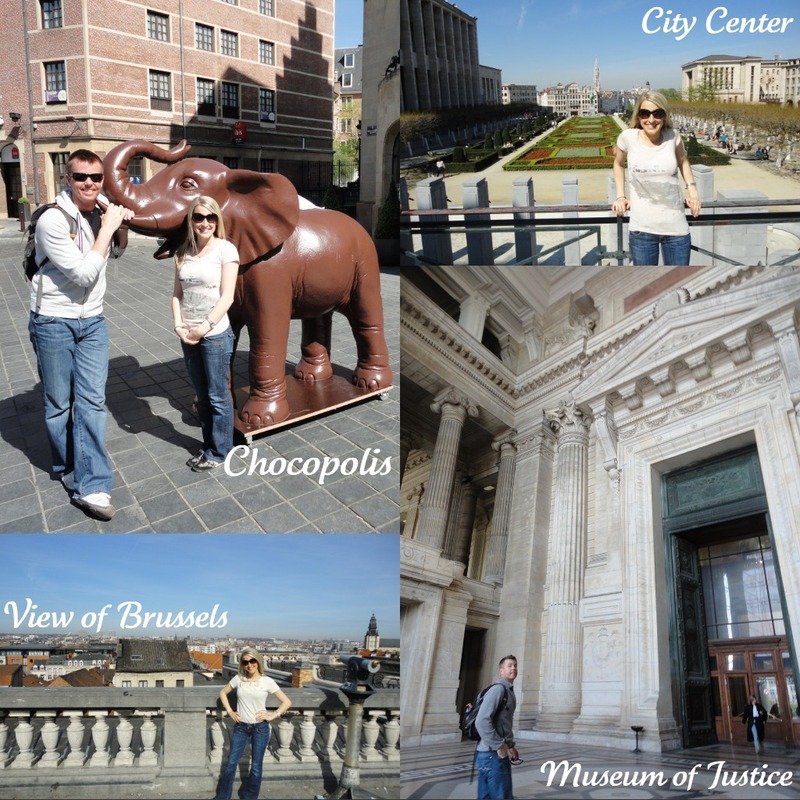 Belgium is a great place to visit! 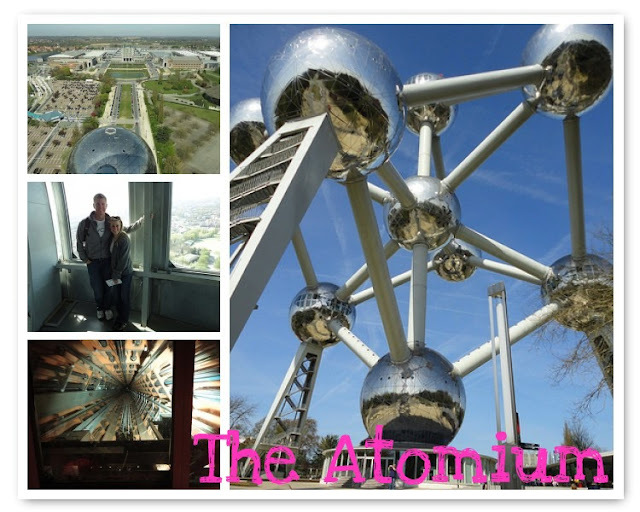 I remember the first time I went (when I was 12, I thought the Atomium was the most amazing thing ever- even better than the Eiffel tower) and the "peeing boy" made me blush! Oh my gosh look at those waffles!! yum!! Wow it looks like you all had an awesome trip!! Love all of the great pictures!! Great recap Tracy! 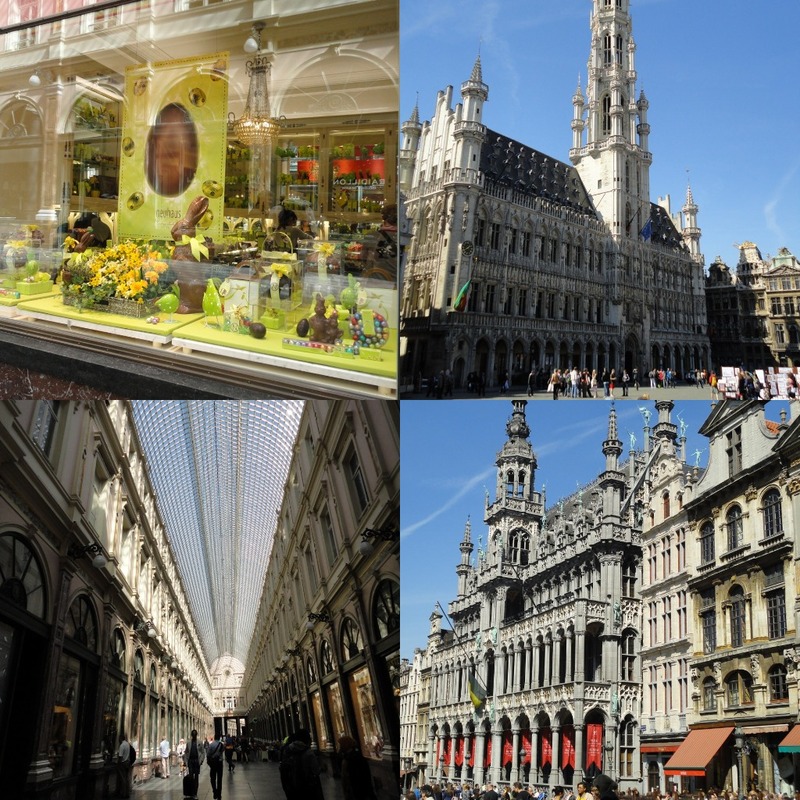 Belgium looks fabulous... The architecture is AWESOME as you stated and shared. Oh my! I think I would've gained 20 lbs if I went there. 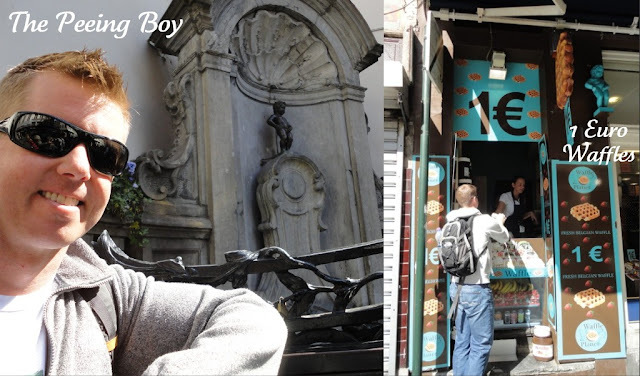 I spent a weekend in Brussels a month ago and I loved it! The city is so beautiful! And the waffles? Heavenly. Did you try Kriek, the cherry beer? So good. Awesome pictures! You guys always look like you always have a great time! I envy the fact that you are so adventurous and able to travel. I'm scared to death to leave the US! What an amazing adventure. Your pics are awesome! 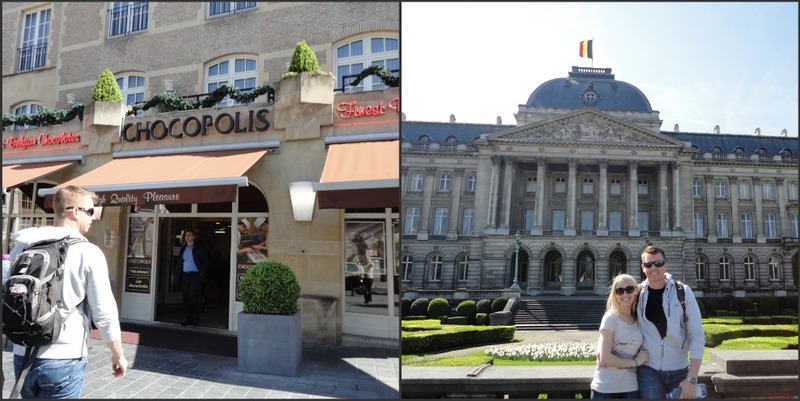 I stayed at the Sheraton too in Brussels, great walking distance. Are you serious.. is that a chocolate waffle I see. OMG! I would be in heaven! I would love to try their waffles and that elephant looks like chocolate. I want to eat it, ha ha! Darling pictures of you and the hubby.